Can you believe Easter is in only a couple of weeks? To me, one of the most fun parts of being a parent is infusing a little magic into the kids' lives. 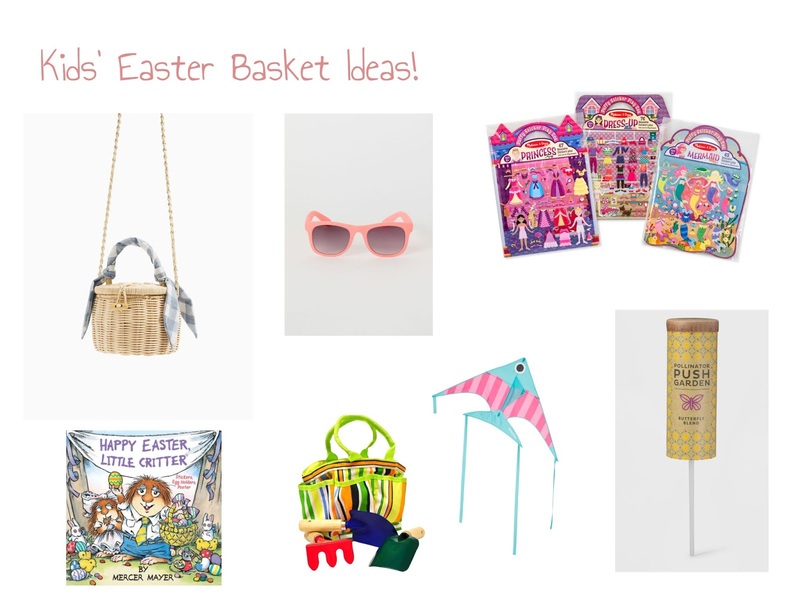 We don't go too overboard, but whether it be a little confetti trail from the tooth fairy, playing Santa Claus, or filling up Easter baskets and choosing the perfect hiding spot for them (does anyone else do this?!) -- I just have way too much fun. This year my girls are getting pretty simple baskets inspired by something they actually needed, but I also think they'll be happy to see: new bath towels! C & H have been using the same baby-sized Pottery Barn critter towels for, ohhh, six years now and it was time to upgrade them. I chose this fun superhero towel, and this cute princess towel, and added in some bath poofs. Bath time is one of their favorite things, so I think it'll go over well! I also picked up a strawberry growing kit for them from Target, because C has been obsessed with the idea of growing things this spring (which I love!). We're excited to try it out with them. Other than that, their baskets will be filled with a few edible goodies like a classic chocolate bunny, peeps and jellybeans. Picnic basket purse | How cuuute is this little kids' purse?! I can picture my girls filling it up with the rocks, leaves, and other outdoor "treasures" they collect. Sunglasses | Can't go wrong with a cute, classic pair of sunglasses for kids. A want and a need! Melissa & Doug sticker scenes | My kids adore these sticker books -- they seriously keep them busy for a ridiculous amount of time. Great bang for your buck. Little Critter Easter book | These classic books remind me of my childhood! We have this one and read it all the time. Kids' gardening tools | Target does it again! Kids will have so much fun "helping" in the garden this spring with this cute little set. Kite | This is something we don't have, but would be so much fun to try. Perfect to bring to the park or the beach. Push garden | I thought this idea was so fun and different. My girls are obsessed with the idea of planting things and starting a garden this season, and this little confetti popper spreads a bunch of seeds in one push. What will be filling your kiddos' baskets this year? The garden seed popper is a cute idea. I wish I would have seen those before!!! Aren't they fun?! I had never seen anything like them!